This photo combines a series of November 2013 observations by NASA's NEOWISE (Near-Earth Object Wide-field Survey Explorer) mission, spanning half a degree. The red color, which makes Lovejoy stand out so clearly, is due to gas and dust in the comet's coma. At the time the images were taken, Lovejoy was 1.7 astronomical units — AKA 1.7 times the distance of between the Earth and Sun — from the Sun. 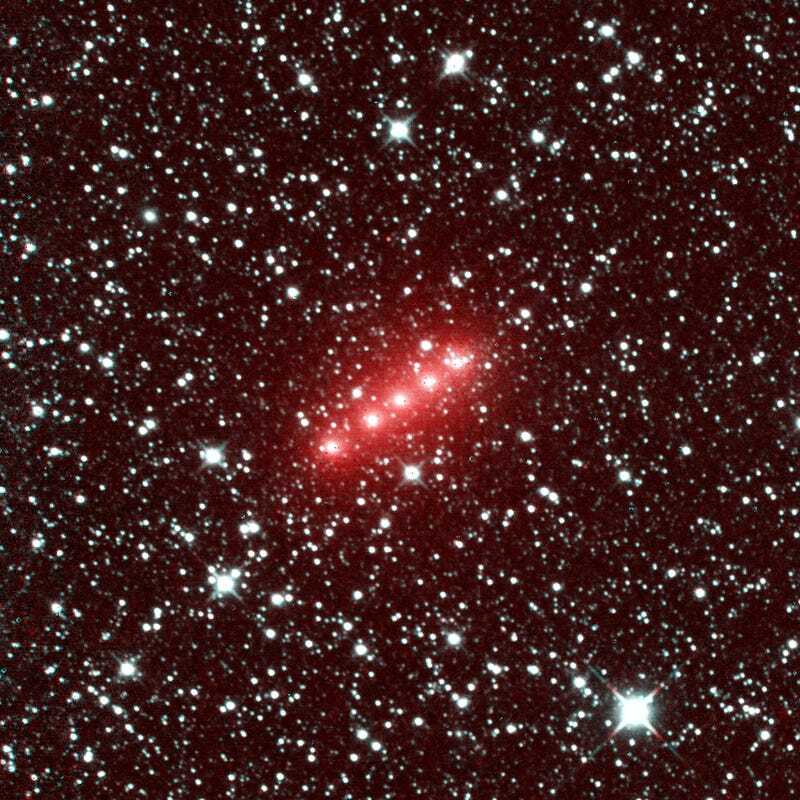 The red color is derived from a strong signal in the NEOWISE 4.6-micron wavelength detector. If you want to see the comet for yourself, learn how here.